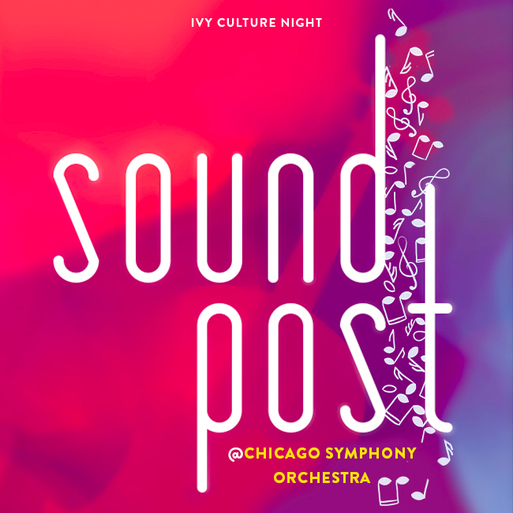 Join IVY members for Soundpost, a special night to enjoy of the greatest orchestras in the world in a lively setting, to be followed by cocktails! In this concert taking place at the Chicago Symphony Orchestra, Finnish conductor Susanna Mälkki conjures Rimsky-Korsakov's hauntingly melodious and stunningly orchestrated evocation of several tales told by the legendary heroine Sheherazade, represented by a dazzling solo violin. You’ll enjoy a special pre-show welcome drink in the lobby and a la carte cocktail reception after the performance with a live DJ and the chance to mingle with CSO musicians.